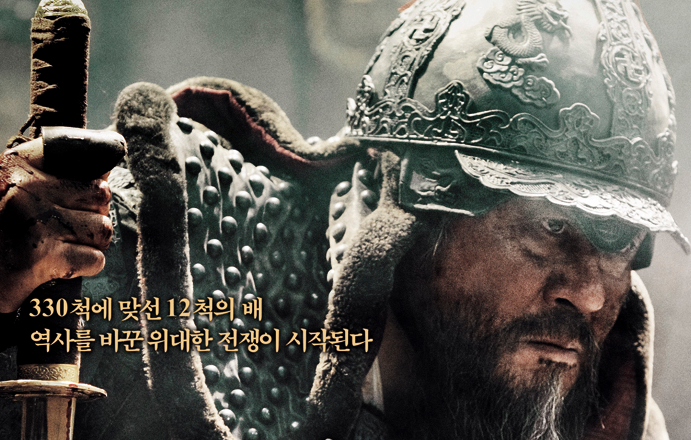 Three films – ‘KUNDO : Age of the Rampant’, ‘Roaring Currents’, ‘The Pirates’ – opened simultaneously this summer. They are all blockbuster and historical films. The winner was ‘Roaring Currents’. 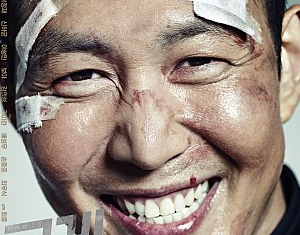 The film has rewritten Korean box office history with a score of 17-million audience mark. It is neither large-scale battle scenes nor great film. So why are the public crazy about ‘ROARING CURRENTS’? The film is focusing Admiral Yi Sunshin instead of attractive event, which is Battle of Myeongnyang. In addition, the admiral was as far as image of hero we know. The admiral in the film looked so tired and old. What director Kim Han-min show to audience is miserable admiral Yi Sunshin, who was betrayed by King Sunjo and lost everything he had. At Great Battle of Hansan 1592 Admiral Yi Sunshin mopped the ground with Japanese naval forces. But what is left now is only 12 ships. His inferiors demanded measures and press him. Admiral Yi Sunshin wasn’t portrayed as the genius of the thinker. 330 ships VS 12 ships. It is cannot help defeating. Nevertheless he didn’t abandon the territory and people. Admiral Yi Sunshin is said to be careful and perfect so far. 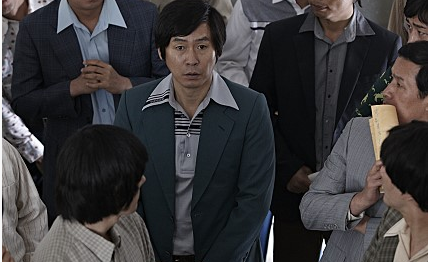 Director Kim Han-min focused on his another character. He had to defend against an enemy attack to save Choson Dynasty’s capital Hansung. It is worth attempting even though they were mown down. He did not rely on chance and was also very effective in his role. The audience were enamored of such a his nature. A few months ago, there was great sadness in Korean. The whole country watched a live broadcast of the catastrophe, which is children were immured in ferry ship, they were dying. Many people are still in a state of shock. Why did captain run away? Why couldn’t the maritime police save none of the passenger? I don’t know why the President didn’t know that the children were trapped in the ship for seven hours. Of course, man change in special circumstances. We couldn’t do anything about that. Even though we want someone comply with the duty for all human beings as ever. No wonder what the public crazy about Admiral Yi Sunshin. 이번 여름 < 군도>, < 명량>, < 해적> 규모가 큰 사극 영화 세 개가 개봉했다. 승자는 명량이었다. 관객수 1천 700만이라는 화려한 점수로 역대 한국영화 흥행1위를 차지했다. 웅장한 스케일을 자랑하는 전쟁영화도, 그렇다고 내용이 아주 훌륭한 영화도 아닌데. 대중들은 왜 명량에 열광했을까? 영화는 명량해전이란 매력적인 사건 대신에 이순신이라는 개인에 초점을 맞추고 있다. 게다가 그 이순신마저 영웅의 모습과는 사뭇 거리가 있었다. 스크린에서 본 이순신은 피곤하고 늙어 보였다. 김한민 감독이 관객에게 보여준 것은 선조에게 배신당하고 모든 것을 잃은 후의 초라한 이순신이었다. 1592년 한산대첩에서 왜군을 크게 무찔렀던 그에게 이제 남은 것은 배12척이 전부다. 부하장수들이 대책을 요구하며 그를 압박했다. 이순신은 천재적인 지략가로 묘사되지 않았다. 배 330척 대 12척. 질 수밖에 없는 전쟁이었다. 그럼에도 불구하고 그는 영토와 국민을 포기 하지 않았다. 그동안 이순신은 한치의 흐트러짐 없이 꼼꼼하고 완벽한 인물로 알려져 왔다. 김한민 감독은 그의 다른 성품에 초점을 맞춘다. 조선의 수도 한성을 지키기 위해서는 왜군을 막아야했다. 비록 자신과 남은 부하가 전멸해서라도 해볼 가치가 있었다. 그는 요행을 바라지 않고 자신의 역할에 충실했다. 관객들은 이런 그의 천품에 반했다. 몇 달 전 한국에서는 커다란 슬픔이 있었다. 전국민이 아이들이 배에 갇힌 채 천천히 죽어가는 참사를 TV 생중계로 보았다. 많은 사람들이 그 충격에서 벗어나지 못하고 있다. 왜 선장은 도망갔을까? 왜 해경들은 한 명도 구조하지 못했을까? 왜 7시간 동안 대통령은 아이들이 배에 갇혀있는 걸 몰랐는지 모르겠다. 물론 인간은 특수한 상황에서 변한다. 어쩔 수 없는 일이다. 그럼에도 불구하고 우리는 인간의 도리를 변함없이 지키는 사람을 원한다. 대중이 이순신에 열광한 것은 너무나 당연하지 않은가?